It's no secret that I am a major list maker and goal oriented person. I find that days I have a list (time blocking every 30 minutes) I am so much more productive than days I don't! So hail to the list! 1. Paint our bathroom vanity. 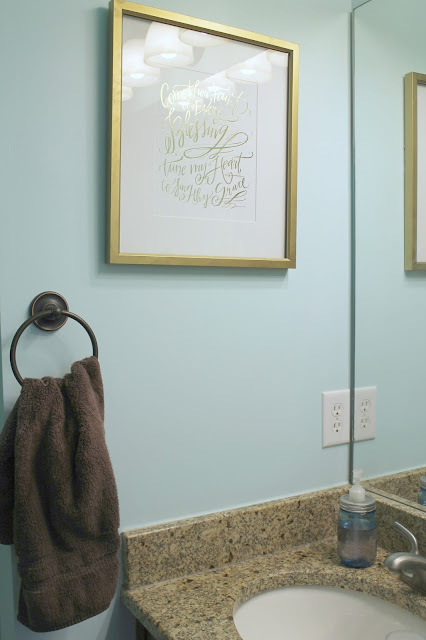 We recently revamped our bathroom with a fresh coat of tiffany blue paint and gold accents (to pull from the tan in the granite which must stay). I am absolutely in LOVE. The light bright color made all the trim work pop. 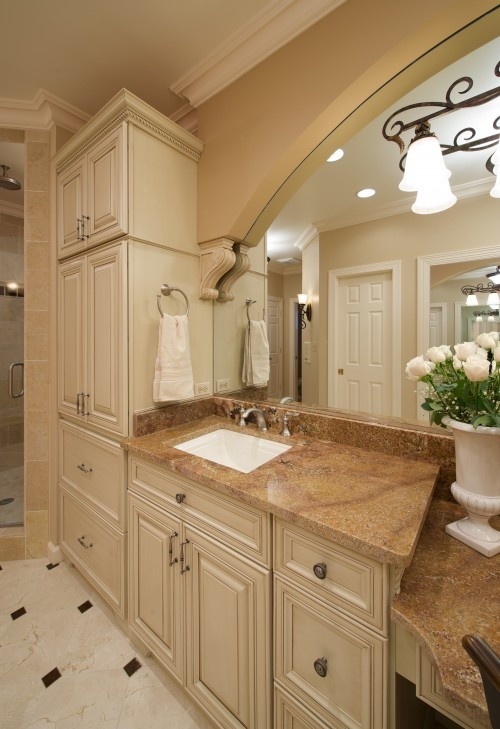 But it also showed how terrible the dark wood vanity looks. It's just waaaaay too heavy for the space. 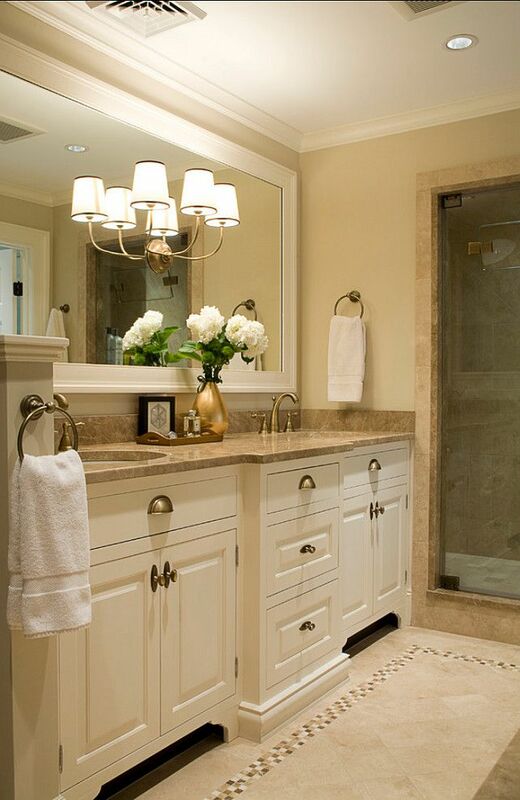 I'm drawn to the light vanities with the tan-ish tops since that is what we have. The floor/tile will stay and we have discussed framing the mirror. 2. 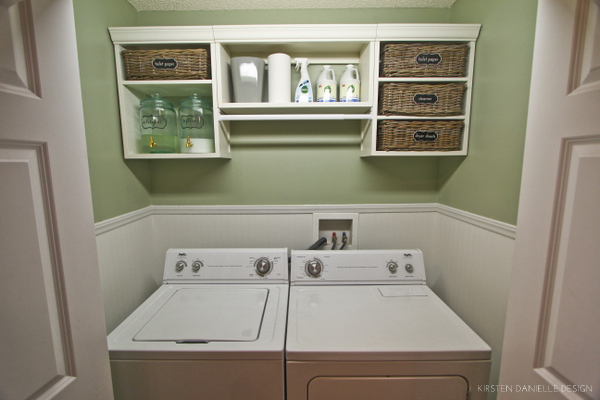 Do something different with the laundry closet. 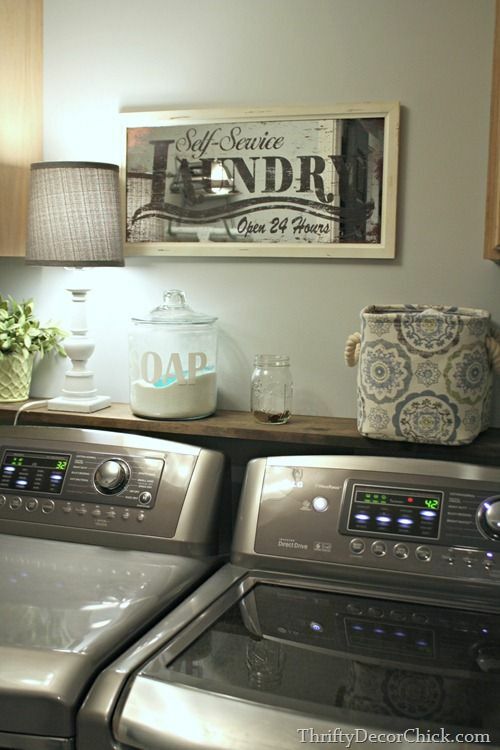 Oh a laundry room would be such a luxury. But for now we have a closet with extremely ineffective wire shelving. I tried to remedy a situation with cheap white bins since I can't even reach the shelf. Hello 5'1". It has been easier pulling bins down rather than individual items. But I'm still not totally satisfied. Not to mention they need labels because I honestly have no idea what's in each bin. #fail Also I'd like to make use of the 9 foot ceilings. We have top loaders and hope to not switch them out anytime soon. And even if we did I would go with top loaders again. I am drawn to the cabinetry in these inspiration photos. 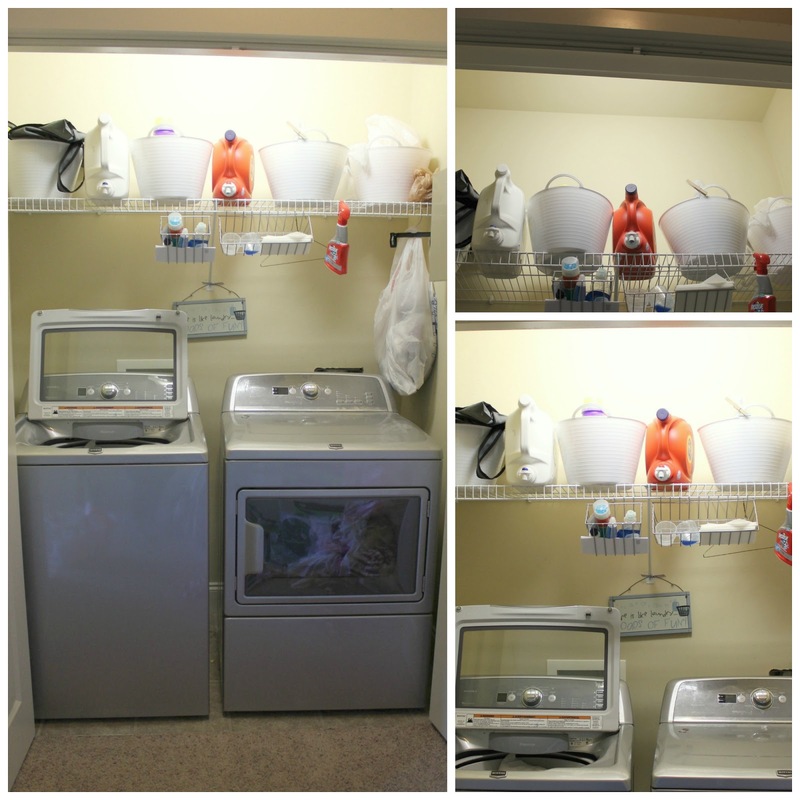 And the shelf/ledge right above the appliances! So cute and functional! We don't even need a hanging bar (because our laundry is located upstairs centrally between our bedrooms), but I just might include one for resale. 3. Refinish our stair case. We have 2 stair cases that are practically identical (basement/garage-main floor and main floor-upstairs). They are literally on top of each other if you look at the layout of the house. The basement stairs have more of a hall feel while the other set is open to the foyer. For now we are focusing our energy on the basement. We use this staircase multiple times a day and the carpet was looking worn. Also with the dog, it was a prime collector for fur and it just never looked clean. 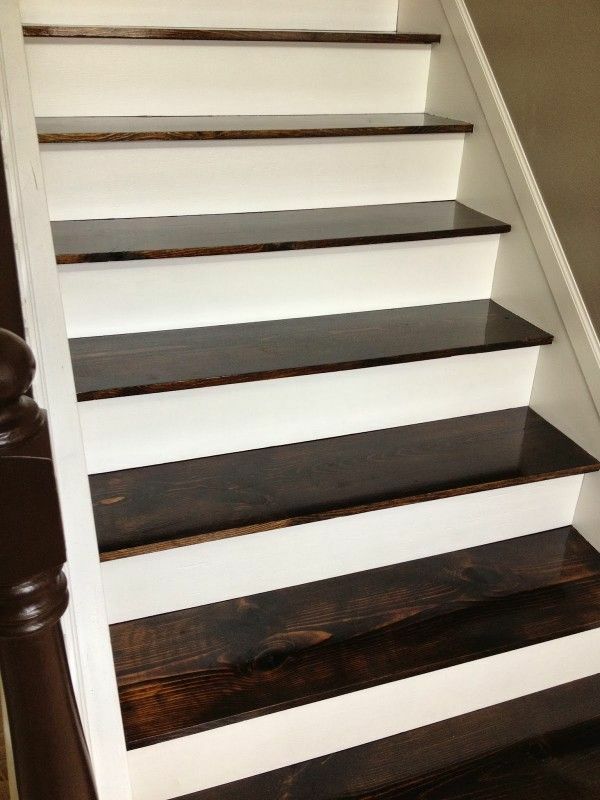 We love the idea of wood stairs, but after researching it, there can be a few surprises hiding under the carpet (depending on the wood used under the stairs). For us it wasn't worst case scenario (all plywood would be worst case scenario), but it was half worst case scenario. 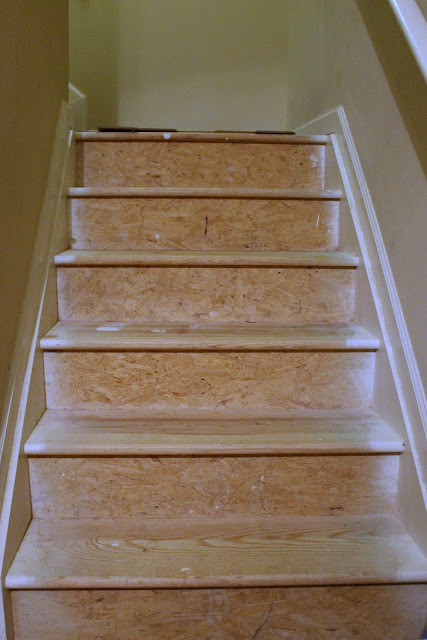 The tops of the stairs are great wood but the backs are plywood which will need to be covered. We have 2 landings that we'll also need to figure out. 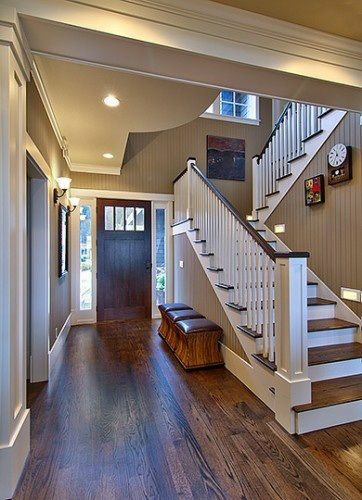 I am drawn to the craftsman style since that is the style of our home. The only trick is that we will have to work around the hardwood floors on our main floor and whatever hardwood we decide to put on the landings. If you look closely at my photo you can see that we are sampling some options. We did this the summer we moved in with deck paint, but for some reason it hasn't help. 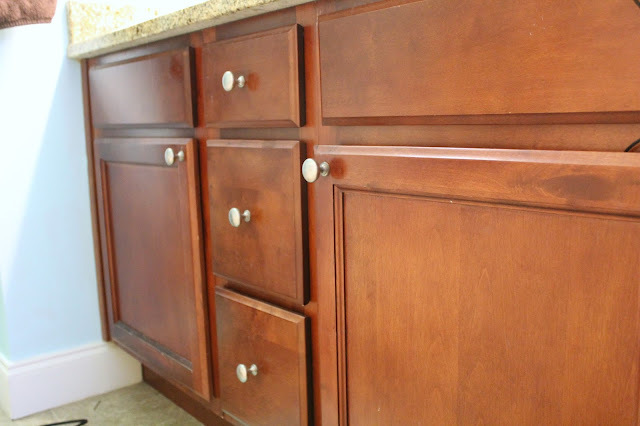 We will most likely need to sand it down to bare wood and start over. Blahhhhh. 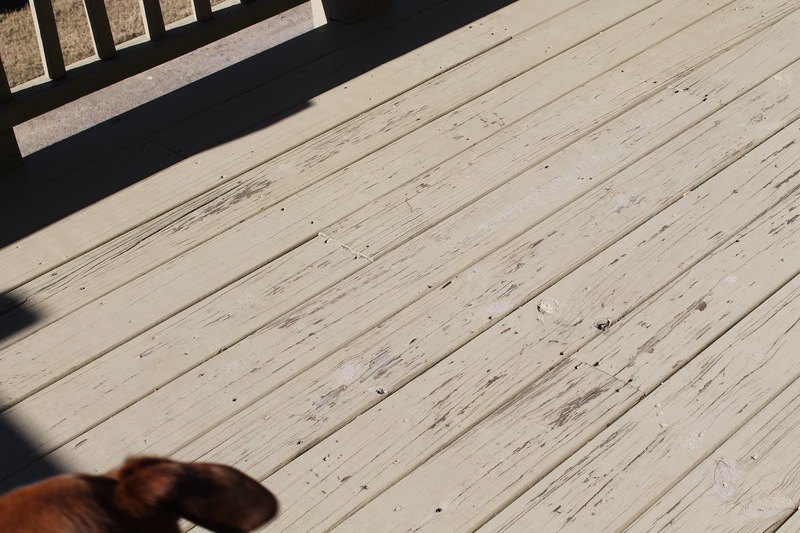 The deck gets all the western sun and it isn't covered so it gets all the rain/snow. I think this is always on my list since I feel like my job is never done. We took an entire van load to the thrift store the first week of this year and it felt SO GOOD. 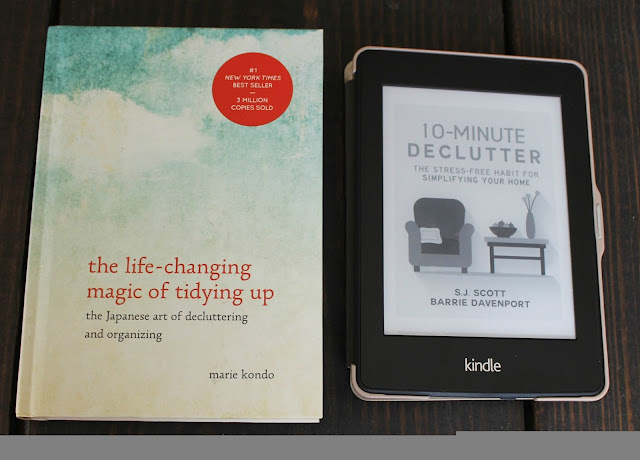 I am in the middle of reading the 10-Minute Declutter * and I have learned some amazing processes for decluttering! Simple things that you overthink! Also I purchased The Life Changing Magic of Tyding up: The Japanese Art of Decluttering and Organizing* and I am excited to jump in! *Contain affiliate links. Read my disclosures here. Yes! It is a super popular book! Target had it on sale for 30% off and I plan to list it on eBay when I finish since I can get my $ back! :) they are selling for $7-9 used! I paid $8.50 at Target.